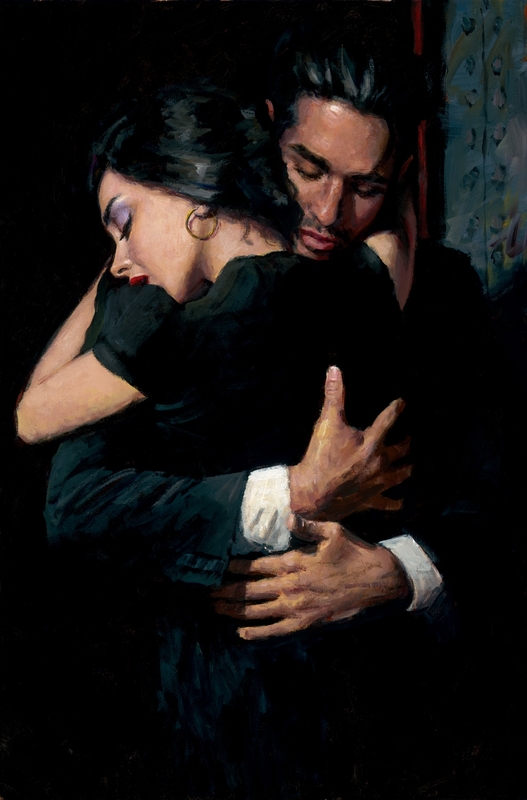 The Embrace II by Fabian Perez © 2014. Fabian brings romance to pieces which are sensuous and atmospheric, the panache of his male portraits complementing the sombre seduction of the women in his paintings. There are influences of Lautrec, Picasso, Sargent and Cézanne in his work, but ultimately the Argentinian artist has a style all his own. You can read more about him, and view more of his work here. to walk in the Jardins des Plantes ? No, I said, let’s hold Mass in your room. in the dark of France flew. Charles Bane, Jr. is the American author of The Chapbook (Curbside Splendor, 2011) and Love Poems ( Kelsay Books, 2014). His work was described by the Huffington Post as "not only standing on the shoulders of giants, but shrinking them." Creator of The Meaning Of Poetry series for The Gutenberg Project, he is a current nominee as Poet Laureate of Florida. "In Paris" is from his new release.